I tried Fuschia Pomegranate body and face scrub couple of weeks back, it was good, So I decided to try out their Radiance berry blend face mask. 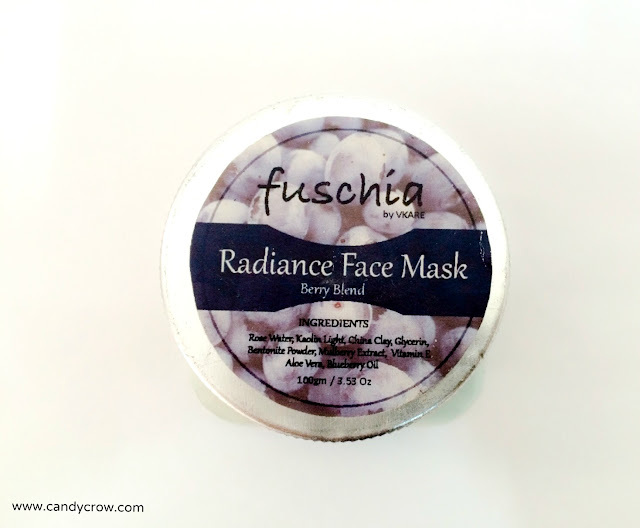 Like all the fuschia products even this mask is made with natural ingredients, free from parabens and synthetic fragrance. Fuschia radiance mask comes in a plastic bottle with silver color screw type top. 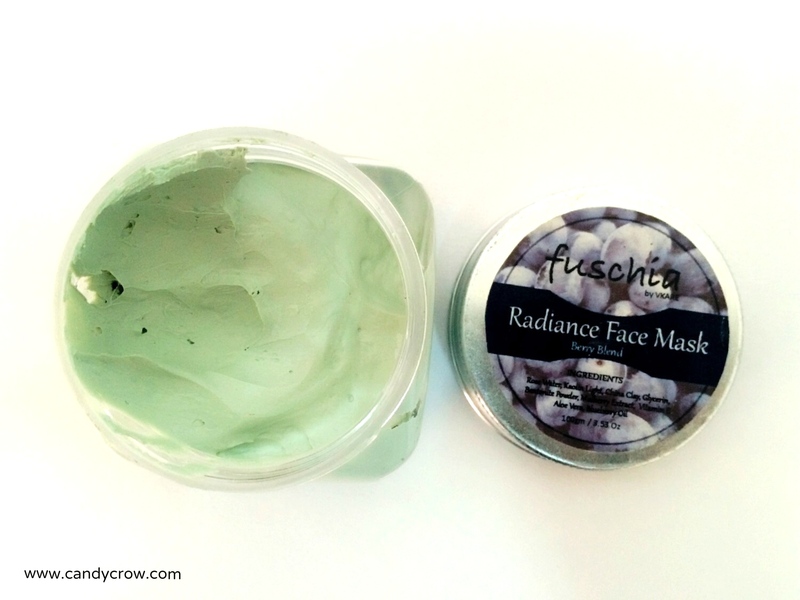 The mask is light green with a mild fragrance. It is smooth in texture and easy to apply. 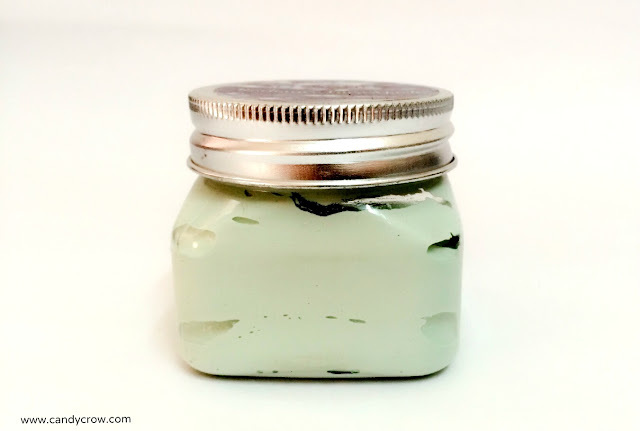 As soon as it is applied to the face, it gives a fresh and cool menthol like feel to the skin. I usually leave the mask for 15-20 minutes and then wash it off with warm water. I noticed that the mask has added a healthy glow to the skin. 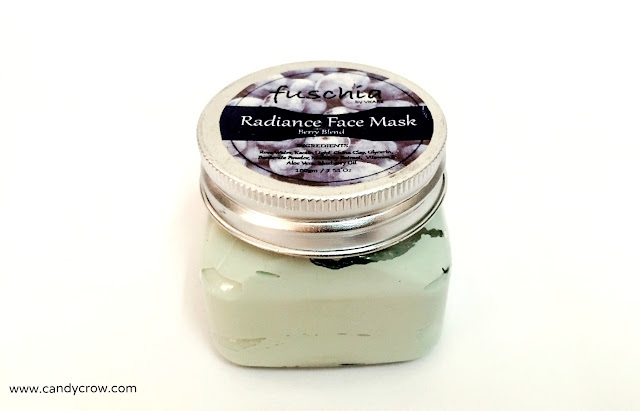 I have oily skin, and this mask did not lead to any irritation or outbreak. It did not rob my skin out of moisture, yet it is not a great choice for dry skin. If you are looking out for a mask with natural ingredients to add a healthy glow to your skin, try Fuschia radiance face mask. *Always clean your face with mild cleanser before applying any mask. *Use warm water to wash the mask, cold water strips away the moisture of the skin.